Gretsch Country Gentleman, c1962. 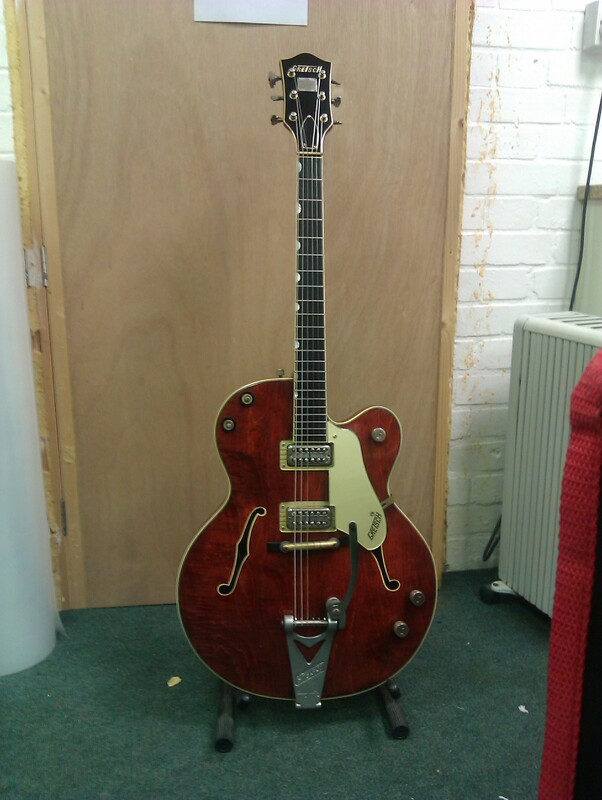 In for a setup and electrics service, this guitar delivers those classic Gretsch tones aplenty. Lovely!